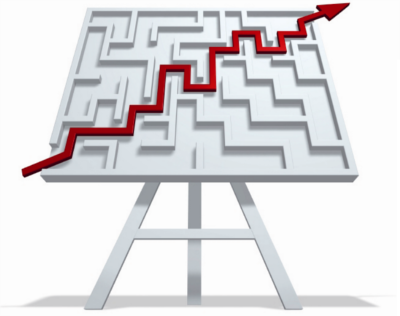 Business decisions need to be made on the basis of the best information available. This is where we come in. With over 30 years’ experience of providing market intelligence (both in an executive capacity in such industries as oil, textiles and property) as well as for many clients, we focus on identifying the relevant information for each client. Every client is unique. We make sure that we fully understand the business decisions that need to be made and our role in this process. All of the intelligence that we gather is therefore related to that specific client. We do not use generic databases – although clearly 30 years’ experience has taught us a few tricks! How big is the market? Trends? Competition? Pricing? Routes to market? Who are my best prospects? How do I identify them? Who is the best fit for my business? Are they interested in us? Can you make appointments for us? Is this market suitable for my business? Who do I need to target? We worked with Rainmaker Partners for a Qatari client who wished to assess the feasibility of establishing a medical plastics facility in Qatar. Through desk research and a week’s intensive field research in Qatar, including meetings with the leading medical firms in the country, we were able to identify both the best products to manufacture to meet market demand in the Gulf States and also the routes to market, including a potential acquisition target. 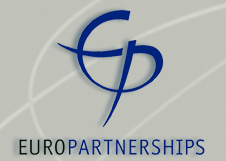 We have been supporting Europartnerships for a number of years on many assignments. These typically involve helping overseas firms who are seeking UK partners, as well as producing sector research resorts. The latter have covered such sectors as the UK Food & Drink Market, Renewable Energy and Cloud Software. A recent example is a Spanish structural steel manufacturer, who wanted to meet some potential partners who had been qualified by ourselves as good fits. Based on their criteria – and our knowledge of the construction industry – we initially identified more than 12 firms who could be suitable. After discussions with our client, we made direct contact with the target list and subsequently arranged meetings in the UK in late 2013 with the three who had the best fit. Having decided on their UK partner, we then identified potential firms for them in Australia and qualified them for our client. We have had the great privilege of working with Nick on market surveys and feasibility studies in the GCC-region and in this way to enjoy his vast knowledge and experiences. Nick is truly dedicated to his assignments and goes straight to the key issues in a practical and efficient way. One of Nick’s many strong forces is his ability to present findings and conclusions in an accurate way that is easily understood by all stakeholders. Nick’s warm personality and genuine sense of companionship further adds to the great pleasure of working with him. In order to attract significant investment to grow the business, the CEO approached Thomas Consultancy and retained them to undertake an independent and impartial market background and research report, in order to supplement the business plan and demonstrate the opportunity in the market and the that investors would get a return on their investment. The excellent market background report that the Thomas Consultancy produced was key in confirming the market opportunity both to us and to our investors and this resulted in a six figure investment being secured.